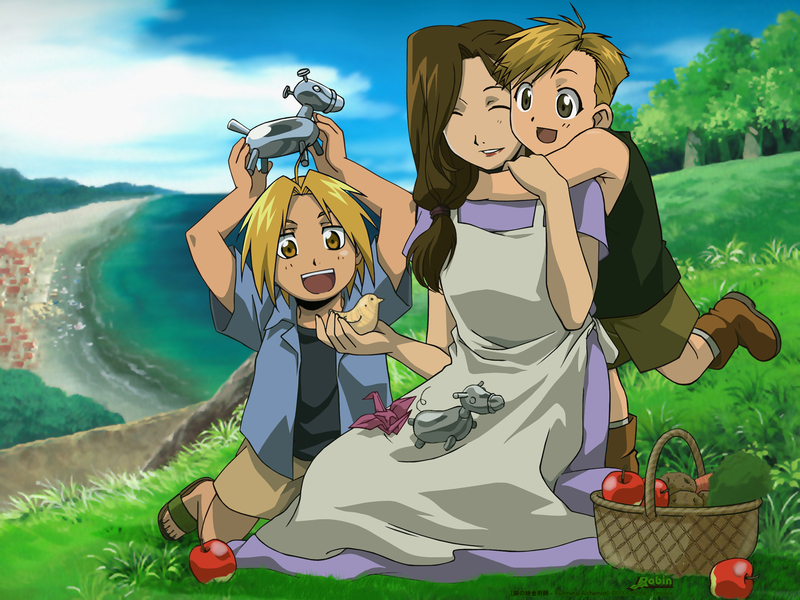 As before, I only listed moms fron Anime I’ve seen myself. Warning, there be some spoilers. Anyone who’s seen Naruto and/or Naruto Shippuden knows who Sakura is so I’ll leave out her exploits as a kid and teenager. Shortly after the end of The Fourth Great Ninja War, Team 7 team mates Sakura and Sasuke Uchiha made the Ship official and got married. shortly after that, Sarada came along. 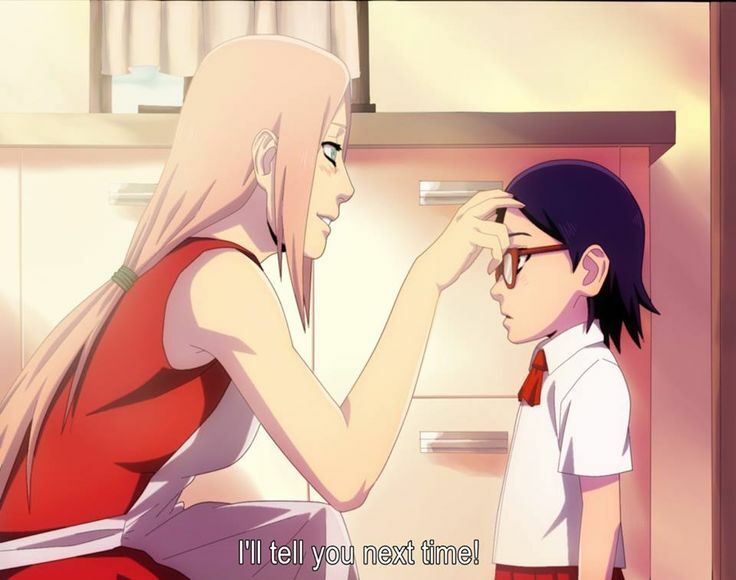 Like Naruto, Sai and Kakashi, Sakura transitioned to civilian life as a Ninja Medic and being Sarada’s mother. Having never met her father and only knowing him from pictures and stories about him, Sarada started to doubt Sasuke was her real mother. She decided to ask Naruto about it but then they get caught up up a battle with one of Orochimaru’s failed experiments from the past. Along the way she meets her father and activates the Sharingan for the first time. After the danger is dealt with, Sasuke confirms for his daughter that Sakura is her mother…as well as his wife. By the time Boruto Next Generations begins, much time has passed. Everyone has grown up and almost everyone is a parent now. Since the focus is on Boruto and Sarada’s generation, the previous generation don’t appear as much outside supporting the newer ones. Sakura is no exception. Her daughter has obviously inherited her father’s Sharingan. She has also inherited the superhuman strength of mother. Chi-Chi is probably the…how should I put this…oldest person on the list. She is Goku’s wife but she is also the mother of Gohan and Goten as well as the grandmother of Gohan’s daughter Pan. She is first introduced as a child in Dragonball. She is the only daughter of the fearsome Ox King. Ox Mountain is on fire and the only way it can be extinguished is with the Kamehameha. Goku meets Master Roshi, who teaches him the technique. After Goku uses the Kamehameha to put out the fire on Ox Mountain, Chi-Chi falls in love with him. Chi-Chi doesn’t appear again until the end of the Dragonball series as a young adult. She faces Goku in the World Martial Arts Tournament. The two marry shortly afterward and their son Gohan is born before the start of Dragonball Z. After the birth of Gohan, Chi-Chi becomes a doting wife to Goku as well as as a doting mother to Gohan and later Goten as well. Gohan was trained by Piccolo but Goten was personally trained by Chi-Chi. Speaking of. Goten was born offscreen shortly after the end of the Cell Saga. It’s commonly believed Chi-Chi discovered she was pregnant shortly after the end of the Cell Saga. Goten is seven years old when he is introduced in the Great Saiyaman Saga and Trunks is a year older than him. So Chi-Chi was pregnant with him at the end of or just after the Cell Saga. In Dragonball Super, Chi-Chi plays a recurring role as Goku’s wife and grandmother of Pan. Having saved the universe from Majin Buu, Chi-Chi FINALLY gets Goku to get a job…as a farmer! Having no personal need for it, Goku gives Chi-Chi the briefcase containing 100 Million Zenni he receives from Mr. Satan/Hercule to Chi-Chi as a gift…and a bribe to go train under Whis. Chi-Chi is present along with the others during the tournament between Universes 6 and 7, comforting Goku when he is eliminated early on. Anyone who’s seen Clannad or played the VN knows who Nagisa is. Plus, you should know if you’ve been reading my blog for at least the last three years. So, this will be short. For those who recently started reading my blog, she is the lead female protagonist in the Anime and the canon pairing for Tomoya Okazaki, the lead male protagonist. 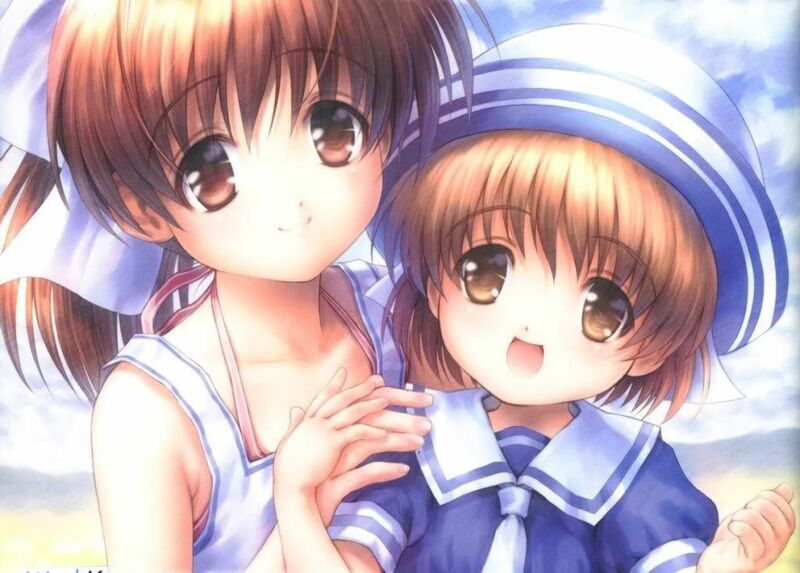 In the After Story Arc, she becomes pregnant with their daughter Ushio. 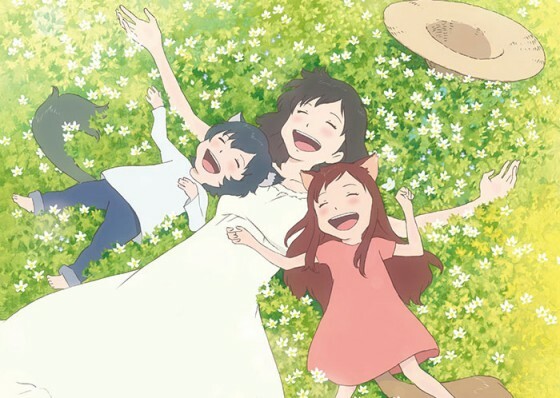 Wolf Children, which was created by Mamoru Hosoda is a tribute to single mothers worldwide. Hosoda himself was raised by a single mother and used his own life experiences as inspiration for this moving story. The obvious twist for Hana is her kids can turn into wolves. After the family moves out of the city and into the suburbs, Yuki and Ame start to drift apart and Hana must come to terms with her children going in different directions and pursuing two different worlds. Yuki decides to live as a human while Ame, who has trouble fitting in at school decides to live as a wolf. In the end, Hana accepts the choices of her children and especially Ame’s. Another person on this list everyone here has at least heard of. After all, her death is what kicked off Ed and Al’s Excellent Adventure. It is interesting to note Trisha first met Hoenheim when she was a child. Hoenheim kept returning to Risembool every few years until she was old enough to marry. It’s likely he didn’t tell her much about his past but they had Ed and Al. A few years later, he left and never returned. A disease that spread across the region claimed her life. Ed and Al attempted Human Transmutation in an effort to bring her back but of course, their efforts failed with disasterous results. Ed would realize much later the obvious truth: It’s impossible to bring the dead back to life. She is the second of three mothers on this list who had a child born of two different worlds. In her case, she is the mother of Inuyasha. Izayoi is dead by the time the story begins but we learn about her later in the story. She is the Lady of a distinguished clan though it appears she was not married when she meets Inutaisho (Inuyasha and Sesshomaru’s father). We know from the events of the movie Swords of an Honorable Ruler that her relationship with a demon kept her at odds with the captain of the guard, who was smitten with her. he was so angry when it was discovered she became pregnant by a demon that he set the castle on fire and then impaled her with a spear shortly after she gave birth to Inuyasha. 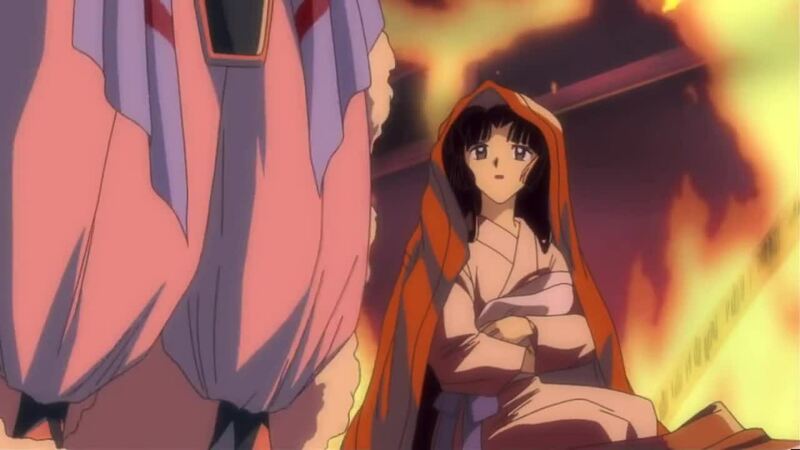 Inutaisho used Tenseiga to bring her back to life and gave her the Fire Rat Robe (now worn by Inuyasha), leading her to safely before he was consumed by the flames. We know from Inuyasha’s early memories that she raised him in a nearby village after that until she died (It’s implied she died of illness) Having never known his father, Inuyasha was very close to his mother. Sesshomaru used this knowledge to set a trap for him early in the series. Everyone knows who she is. So we’ll leave it at that. Delia Ketchum was a large part of the third Pokemon movie Spell of the Unown in which she is kidnapped by the legendary Pokemon Entei. Her appearances are few for obvious reasons but she does her best to encourage her son. While technically not a trainer herself, she does have a Pokemon partner in Mr. Mime. One of the oldest unsolved mysteries is the answer to this question: Who is Ash’s father? All that’s known is he is or was likely a trainer. And here we have the third Mother who broke a taboo and had a mixed race child. In her case, Hild is the mother of the Goddess Urd. The Anime doesn’t get into this but once upon a time, Hild and The Almighty One were lovers. We also know they used the Gate of Destiny used to weight the strength of the bond between lovers from two worlds, which was a major plot device in The Movie. The two were forced apart but Hild beat the system to see The Almighty One for what would be final time. Urd was conveived from that final meeting and born after the Doublet System was put in place to end the war beween Gods and Demons. While Hild obviously still has feelings for The Almighty One, when asked by Belldandy she plainly states because she tricked the system once, trying a second time would cost her life. Aside from being Urd’s Mother she is the Daimachaiko, or Ruler of Demonkind. Her power is equal to The Almighty One’s, hence all the jewelry you see in the video to seal most of her true power. Had she arrived at full power, probably most of the world would have been wiped out! After she returns to Nifelhiem (referredto as The Demon Realm in the Anime), she splits off a child version of herself to mess with Keiichi and the Goddesses for a while. In the Manga, there is coup in Nifelheim and her main body is sealed by the Userper. Hild turns to Keiichi and the Goddesses for help, ultimately regaining her full power again. Next year, I’ll see about doing mothers and fathers in Video Games I’ve played. This entry was posted in Anime, Blog, Brendan Aurabolt, Clannad, Dragoball Super, Dragonball Z, Fullmetal Alchemist, InuYasha, Manga, Naruto, Naruto Shippuden, Serene Adventure, Wolf Children and tagged Anime, Brendan Aurabolt, Clannad, Crunchyroll, Dragonball Super, Dragonball Z, Fullmetal Alchemist Brotherhood, Inuyasha, Manga, Naruto, Naruto Shippuden, Serene Adventure. Bookmark the permalink.